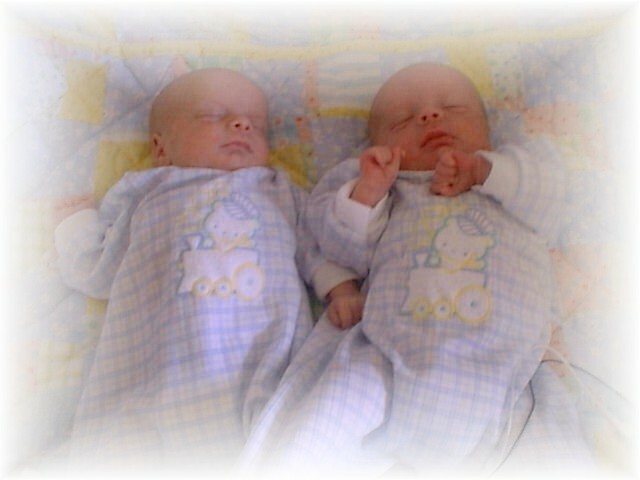 We are the proud identical twin boys of Brian and Sarah. We were born on February 25th, 1999 at 11:54 and 11:55 PM. This is also our Grandma Murray's birthday. She was born a little bit before us though. Some people say that we look like our Dad, if that is the case we could really be triplets. We disagree though, we are definitely cuter. The picture above is from April 4th, 1999, when we were just a little more than a month old. As you will see we were much smaller then. We live in Palm Desert, California it is near Palm Springs. You could call it a suburb if Palm Springs has suburbs.